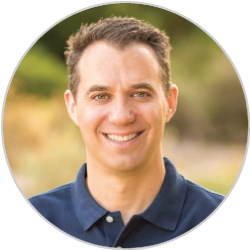 Aaron Nitzkin is the Founder and Chief Executive Officer of Solar Roof Dynamics. He founded the company to transform the traditional roofing industry, with the ultimate goal of helping roofing contractors quickly become competitive solar contractors. Before starting Solar Roof Dynamics, Aaron served as the National Sales Director for the solar division of The Dow Chemical Company where he helped drive adoption of residential solar by overseeing the sales strategy and market commercialization of Dow’s innovative POWERHOUSETM Solar Shingle. Aaron’s also served as the Executive Vice President of Solar for PetersenDean Roofing and Solar, the largest privately held roofing and solar contractor in the United States. There, he was instrumental in driving the transformation from a roofing focused contracting company into one of the nation’s largest and fastest growing solar integrators. Aaron holds an MBA from Stanford University’s Graduate School of Business, a BA from Indiana University and is a member of Phi Beta Kappa. 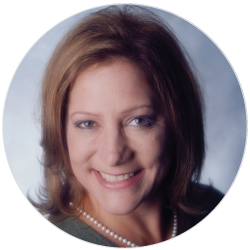 Debbie Schrider brings over 25 years of sales leadership experience to Solar Roof Dynamics, most of which was spent in the solar industry and in residential new construction. Debbie was an early pioneer in remote solar sales, leading the sales team to success at One Block Off the Grid. Debbie later managed residential customer acquisition for SunEdison as part of the channel team, while providing training and support to a national dealer network. At SolarCity, she led three special projects teams – customer retention, the online sales channel, and a ‘By Referral Only’ training program designed to reduce the cost of customer acquisition. Fred oversees field and technical operations and is dedicated to ensuring that SRD’s solar products, services and solutions meet the highest standards of quality. With more than 40 years of diverse construction industry experience, Fred has successfully led operations and installations for 800+ solar projects. Prior to joining SRD, Fred served as VP of Operations at 1st Light Energy. He also held leadership positions at Acro Energy and PetersenDean. Susan is responsible for the day-to-day administrative functions of Solar Roof Dynamics, including accounting, HR, purchasing/procurement, project financing and utility interconnection. Susan has 25+ years of experience in start-up organizations in a wide range of industries, including medical devices, consumer products, and solar. Before joining SRD, she provided administrative and operational consulting services to a leading international company in the dye-sensitized solar cell (DSSC) industry, managing the operations for a grant-funded joint venture with a multi-national glass company.